Memorial Day 2018 | A.B.E. Remodeling, INC.
Hopefully you are all enjoying your Memorial Day Weekend and we certainly want to wish you the pleasant of days. Take a few minutes to acknowledge the real reason behind Memorial Day. Throughout the years and the wars there have been soldiers we did not personally know yet they gave their life so we could have Freedom. These were our brave. These were heroes. 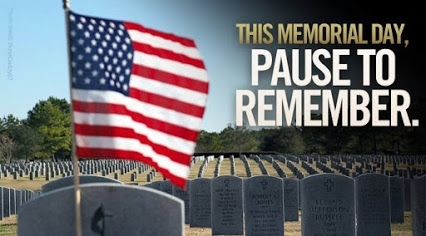 So as we can enjoy the barbeques, the get togethers and just being free to come and go as we please… light a candle in memory of our heroes or fly your flag to support the USA. Let us know in our hearts that our freedom has costs and those who lost their loved ones in fighting for our country know exactly what this day means. We salute those who gave all. Thank you for your service and sacrifice. Greetings from us to you on this day. HAVE A GOOD MEMORIAL DAY.